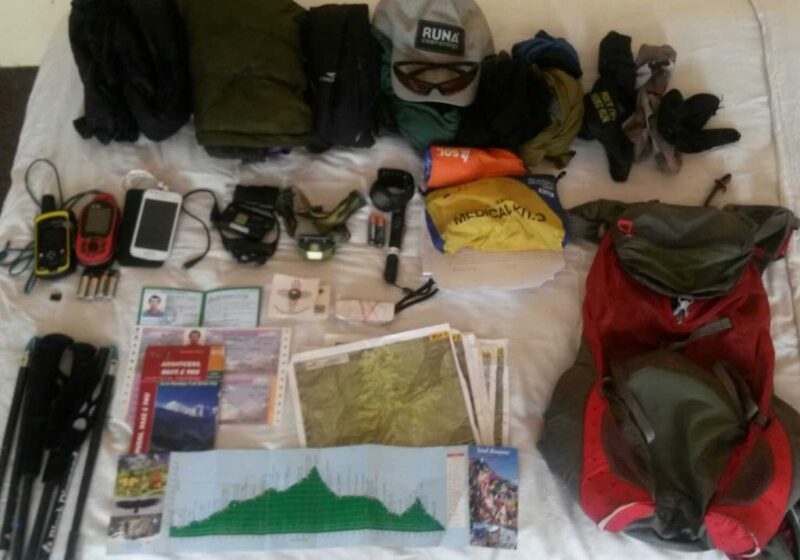 Congratulations to Seth Wolpin on his hard slog around Annapurna. 218km and some +/-10,000m completed in around 72 hours. 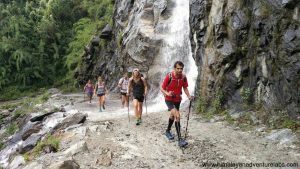 Plenty of people have gone around the Annapurna Circuit from Besi Sahar to Naya Pul but few with the aim of reducing the hike to as few days as possible. A quick google will find a seven-day trip here, and Lizzy Hawker walking around in five-days (though not quite from Naya Pul). I don’t know how this is going to work out but I have some time on my hands before flying back to the states. (China airlines wouldn’t let me change my ticket so if this goes south it is their fault.) 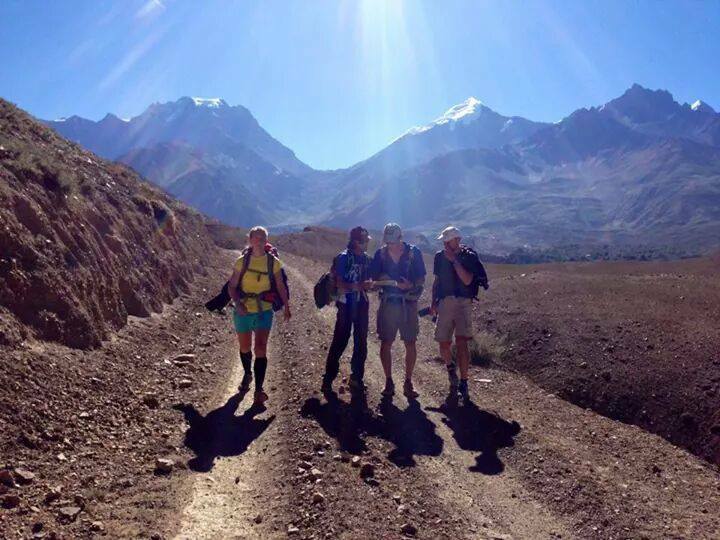 It doesn’t look like anyone has ever been stupid enough to try a continuous push around the annapurna circuit. I’m acclimated, well versed on the circuit, bored, haven’t done something stupid in a long time, and itching to run. A dangerous combo surely. I’ll start in besisahar either tomorrow or thurs morning (wed eve and Seattle) and go counter-clockwise following all of the new annapurna trekking trails (NATT) I can find instead of jeep track. If all goes well, I will finish in the village I love to hate…Naya Pull. I have no idea when…we will see how it goes! Wish me luck. More to follow. The equipment that Seth carried with him. 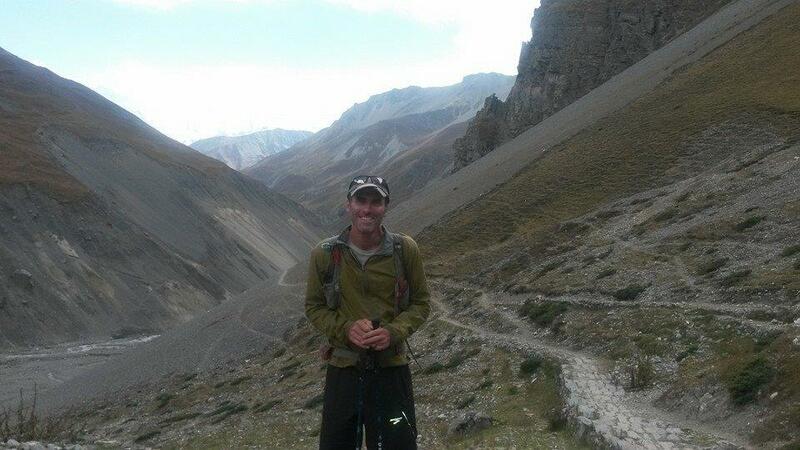 Seth Wolpin who just completed the Annapurna Circuit Trek route in 3 days. 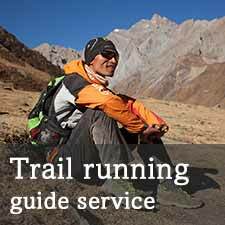 This entry was posted in Blog and tagged annapurna circuit, Fastest Known Time Nepal, fastpacking, FKT Nepal, lizzy hawker, Seth Wolpin, Sudeep Kandel. Bookmark the permalink. 14 October 2014: Quite a surprise to meet Seth at Thorung Phedi last week. He looked in a pretty bad way and when I heard about his plan to continue walking over the Thorung La through the evening and night I began to wonder about his sanity. I was considering rugby tackling him and putting him in a straitjacket to stop him heading off to his doom! Glad you made it Seth Manche! Steve – it was great to run into you on the circuit! Thanks for bolstering my spirits (not to mention feeding me).